A note from Citi analysts Jim Suva and Asiya Merchant sent to clients in December offered a list of companies that Apple could have the capability of acquiring, if it decides to take advantage of the U.S. government's tax reform package. As well as reducing the federal corporate tax rate, the Tax Cuts and Jobs Act also offers a one-time repatriation of a company's cash held overseas, significantly reducing the amount of tax owed on the transferred funds. According to Business Insider, the analysts claim there is a 40 percent chance that Apple will acquire Netflix, if it does repatriate its funds. Suva and Merchant believe that if Apple repatriated all of its foreign-held funds, giving it approximately $220 billion to use after the 10 percent repatriation tax, the company would require around a third of the total to purchase Netflix. For comparison, the list put an acquisition of Disney at a probability of 20 to 30 percent, though the note was written before Disney's deal with Fox. Other potential targets noted by the analysts include game companies Activision, Take-Two, and EA at a 10 percent probability of occurring, car producer Tesla at around 5 percent, and Hulu at around 1 percent. "The firm has too much cash - nearly $250 billion - growing at $50 billion a year. This is a good problem to have," wrote the analysts. "Historically, Apple has avoided repatriating cash to the US to avoid high taxation. As such, tax reform may allow Apple to put this cash to use." 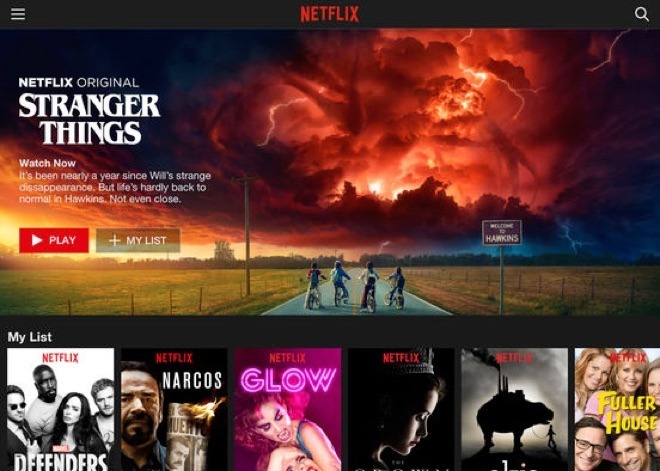 A potential acquisition of Netflix has been speculated before, and with Apple's push towards original content and available cash, the rumors are likely to continue for some time. Apple's video content ambitions have already led to a number of deals that will help it create original content, and it is more probable that some of the repatriated cash could go to enhance its content projects. In 2017, Apple has secured a drama starring Jennifer Aniston and Reese Witherspoon, reportedly provided a blank check to Drake for his own shows and movies, and signed a deal with "Star Trek" and "Battlestar Galactica" reboot alum Ronald D. Moore for a new space drama. It is also reportedly paying $5 million per episode on a ten-episode season of "Amazing Stories," a revival of the Amblin Television and NBCUniversal science fiction anthology. Such a large purchase for Netflix may be unlikely, according to analysis by Loup Ventures' Gene Munster, who insisted in December that Apple would stick to its acquisition strategy of buying companies worth less than $1 billion. Rather than making major investments, Munster expects Apple to increase its share buy-back program and increase its annual dividend.